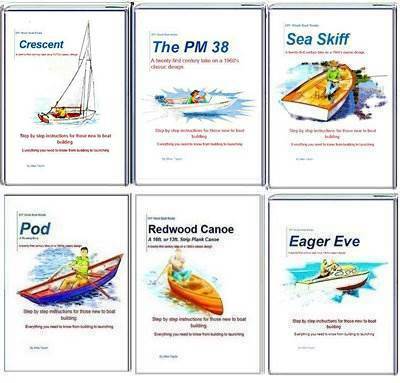 Plywood and Veneer Guide for Marine use. 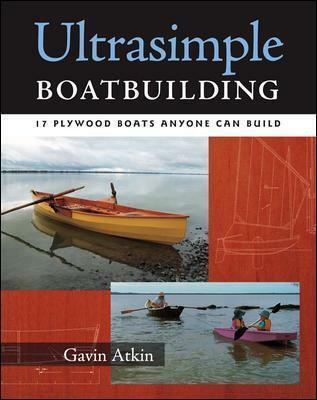 When boat building with plywood always use the best quality you can afford. For hulls and decks, my advice is to always use marine grade. Natural timber is a wonderful material however, it is relatively unstable, it will shrink and swell across the grain rather than along it which, can distort. How much will depend on how the planks have been cut . And its tensile strength is greatest along the grain but will split with the fibers. Plywood overcomes these problems by gluing together a number of layers with the grain running at right angles in the alternating ‘piles’. Extra stiffness can be obtained by laying the outer layers at 45 degrees. The greatest strength of a sheet of ply is usually parallel to face grain. 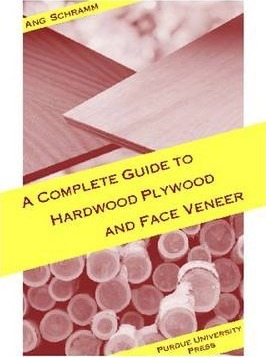 The ‘piles’ or veneers are thin sheets which are either sliced or rotary peeled from the log. There are always an odd number of veneers in a sheet the minimum number being three. The center pile is known as the ‘core’. The outside layers are called the faces, the front face usually has a better finish than the back. Intermediate layers are known as ‘crossbands’. The more veneers that are used the stronger and stiffer the plywood becomes, so for bending fewer is better. It is the water resistance of the type of glue used to laminate the piles, which determines the grade of the ply, as well as wood of the veneers. Plywood is normally sold in rectangular sheets of 4ft by 8ft 1220mm x 2440mm. Larger sheets up to 5ft x 12ft can be obtained. The bending, tensile and compression strength of plywood are determined by the strength of the laminates and direction in which the grain lies. As the number of plies/piles increases, the crosswise strength and stiffness of a plywood sheet will also increase. Three-ply, for instance, is strongest along the surface grain axis, however, it bends more easily across the grain as there is only the core with grain at right angles across the sheet and the outer veneers are thicker. Where there are more than three plies (always an odd number) the center is still known as the core the outer piles as faces and the in between plies as cross-bands. The more fibers running in both of the directions the greater will be the shear strength across the plane of the sheet. Interior grade ply is bonded with ‘urea- formaldehyde’ glue which is not water-resistant. The core will also contain voids which will allow any water to penetrate right to the heart. It is possible to seal interior ply with epoxy but this will be an expensive and time consuming exercise. The material is only water resistant to a certain extent. The surface veneer will be of a rough wood which will be difficult to finish to any degree. There are various grades of exterior ply which are all classed as WBP (Weather and Boil Proof). Water-resistant adhesives are used which can resist a certain amount of moisture. Top grades use phenol-formaldehyde, however most use ‘melamine urea- formaldehyde’ which is not so suitable for use in wet conditions. Structural ply has a low quality face veneer though it is generally bonded with a reasonably durable phenolic resin. Marine grade is produced in soft woods such as Douglass fir or larch, and in a variety of hard woods. While the softwood plys are strong and light they do have a tendency to ‘checking’. Hardwood plys, on the other hand are heavier, and that little bit more expensive. Marine Grade is made with waterproof adhesive so that it can be used under water. It is normally laminated with a ‘phenol-formaldehyde resin’ which, sets permanently under heat and pressure. The bond is permanent and will not deteriorate under wet conditions, heat or cold. There should be no voids in the core or crossbands, though these may, on lower grades have been patched with synthetic material. The better grades will have been pressure-preservative treated for resistance to decay. Mahogany plys are probably the best, though Meranti is strong but heavy. Okume or Gaboon is a lighter hard wood but it doesn’t have the same rot resistance as Mahogany or Meranti. 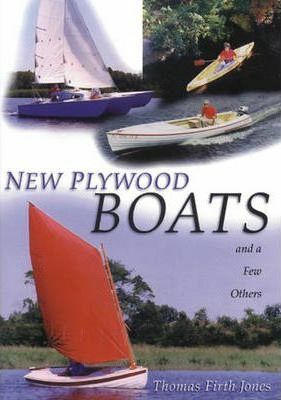 In many cases the plywood will have sufficient flex to be able to bend it cold around your hull shape. However, if it won't, at first, pull all the way into the shape that you need, don't force it. Bend it as far as you can, clamp it, then leave it for a few hours. After a while you will find that it will have ‘relaxed’ into that bend. Now pull it in some more, it may take a few goes but eventually you should be able to pull it all the way. Having said that, it is easier to bend short, narrow panels than wide, long ones. As with timber generally heat and moisture can be used to bend ply. Simply laying it on wet grass or spraying water over the sheets, then covering with black plastic and leaving it in the sun for a few hours will make bending easier. Another way is to use a steam wallpaper stripper on the outside surface while gradually pulling the sheet into place with clamps. An alternative is to wrap the area which needs most bending in towels then pour on hot water. Or simply soak the ply overnight and encourage the bending by propping it on some batons then placing a weight on top. But the caveat is that the plywood must be allowed to dry completely again before sealing it especially if you are going to be using Epoxy. Epoxy and moisture do not mix. Plywood can be kerfed but it must be done carefully. The kerfs should be less than half the thickness, relatively narrow and finished by filling with epoxy. In some cases, it may just be that you cannot get enough leverage on say a nib end. In which case if you cut the plank over length it will give you the leverage to get the end in position, clamp and fasten it, then trim it off afterwards. If it needs to be cut to size before gluing you could clamp a long baton onto the ply and use that to give you the extra leverage. However, for a very tight radius it is probably best to laminate it up from several layers of thinner (more flexible) ply. Once you have managed to pull that panel to shape it is best to allow it to ‘relax’ to that shape before gluing. And if planking a hull, bend and prepare both corresponding sides before gluing. Delaminating occurs when the laminating glue fails. Moisture then penetrates causing the wood to rot. This causes swelling and raised edges. Areas of delamination can be detected where the surface flexes and by a dull sound when tapped. As with any other wood, ply will need to be protected from the elements with a coat of paint or varnish. Where the ply has been coated with epoxy, the epoxy will need to be coated to protect it from UV light. Any cuts or abrasions in the glass skin will inevitably expose the plywood. Moisture will then wick up into the plywood and getting trapped between the glass skins. Any damage to coating must be touched as soon as possible. To protect softwood ply from checking when it has been bent it may be necessary to apply a light fabric coating to the skin. Take care when sanding ply as the top veneer will be thin too much scraping or sanding will expose the lower unattractive layers. Like any materials you use, plywood should be properly stored and handled. Protect the edges and ends of panels during handling. Keep it dry and clean. Stack panels flat on stringers or other blocking to help stop panels from warping.